In the past few weeks we have spoken to a number of people about the dirty tricks that go on at auction. There’s been a lot of reports in recent publications about unscrupulous buyers with the help and encouragement, I might add, of certain buyers’ agents using dirty tricks to secure properties at auction in our current hot auction markets, particularly in Sydney and Melbourne. So in the recent Real Estate Talk show we decided to find out how you can safeguard against this and what some of the better principles are that you should have in place if you’re going to be buying at auction. Michael: Thanks for making that clear right at the beginning Kevin – that’s I’m NOT one of the unscrupulous agents. Kevin: Well, I thought I’d better put that disclaimer in there, Michael. Michael: Sure we’re out there bidding for our clients, but, there are lots of good and ethical ways to do it. Kevin: Well, of course there are. I mean let’s face it, buyer’s agents work for the buyer. As you say, you’ve also got to have relationships with all of the sellers and all of the seller’s agents as well. Michael: Sure and you can’t cross the line. What you’re talking about Kevin is this practice of collusive bidding, which involves two or more bidders who represent the same buyer. What they do is they they go in at the beginning of the auction, creating the impression that there is multiple buyers bidding for the same property. I’m not totally sure, I’ve never done it, but, I understand the theory behind the ploy is to create an expectation in the vendor’s mind that there is good activity below the reserve. What that’s meant to do is to encourage the seller to put his property on the market rather than pass it in and I guess all of a sudden they all drop out and just one person bids for it. Kevin: Michael, why would they want to do this? Are they up against dummy bidders, for instance? Michael: No. I think what they are trying to do is first of all potentially scare off other purchasers, making them think there’s lots of other people interested but what they’re really trying to do is create a false expectation in the vendor, in the seller, that there is lots of people and when they suddenly disappear, well this is the best offer he’s got, he’d better just take it. 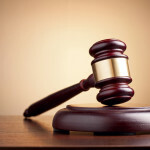 Now interestingly, there are penalties which vary from state to state, but it’s up to $55,000 for corporations, real estate agents can lose their license because you’re not allowed to induce another person to abstain from bidding or do anything in any way which would prevent free and open competition in an auction. So the issue here is that there have been 55 complaints about auctions so far for the Office of Fair Trading in New South Wales. In New South Wales this is a bit harder to do, because every bidder has to be registered. In Victoria anyone can just turn up to an auction, put up his hand and bid for the property. So you don’t really know if they are genuinely interested or not. But there’s other things that a potential purchaser has to put with, as well. Michael: There’s the dummy bidding. Michael: It’s illegal, but, I understand it’s still around. Just to make things clear, a dummy bidder is somebody who is not a genuine buyer, but, who is there on behalf of the seller and bids to just push up the genuine bidders and create a bit of competition at the auction. The other big issue a lot of potential buyers have is under quoting. Something I know you have discussed on your show often, Kevin, of coming along to an auction with an expectation of paying a particular price because that’s what the selling agent said, when, in fact, there was no way in the world you were going to get the property in that price bracket. Kevin: There is certainly a lot of concern amongst the various real estate bodies, Office of Fair Trading, about cleaning up the industry. Particularly, around auctions and we’ve seen some of these moves. Let’s say, for example, what’s happened in Queensland. Kevin: With that possible legislation. It just seems these kinds of practices are just heightening everyone’s concern and may be even bringing on more compelling legislation around Australia that’s going to make it even more difficult to market by auction. Which is a really good way to sell and buy property anyway. Michael: Kevin, I like selling at auction if I have to sell something, because I know exactly who is out there and what they’re bidding and I’ll get the best price on the table. Of course I don’t have to sell if it doesn’t meet my reserve price. I like buying at auction because I can similarly see who my competition is and yes, sometimes people play games; they’re not my genuine competition but that doesn’t stop me. When I go to auction particularly in today’s hot current markets, I already have an expectation in my mind of what I want to pay. If somebody else is going to bid more or less than me, that shouldn’t change my expectation and that’s based on comparable sales, by doing my homework and knowing what the property is worth. In today’s market I am also prepared to even pay a little premium for a good property in a rising market. So I’m not fussed by having to bid a little bit more at auction. What I do, rather than collusive bidding and have lots of people try to create a false sense of impression, I go to the auction and bid high right from the start. My tactic is to scare off people legally and correctly by showing my strength, by suggesting that I am going to bid strongly, by saying the whole word “five-hundred and fifty-five thousand dollars” rather that just the $5,000 increase, and by being firm and by looking the auctioneer or the competition directly in the eye. In that way intimidating them – but correctly, ethically and legally in a way that’s going to put my client in the best position. Kevin: I guess doing it the way you do it to you’re going to miss out on a few auctions along the way, but, I guess it’s one way to make sure that you’re not overpaying, Michael; you’re not getting carried away. Michael: Yes, Kevin, I am going to miss out. Every weekend we come across people who think a property is worth more than we do. Maybe they’re smarter than us, maybe they’re dumber than us, but they fall emotionally in love with a property and they’re to bid more. 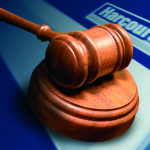 Interestingly, while at Metropole we bid at a lot of auctions, we probably miss out on about half the auctions we go to. In fact, if my buyer’s agents came along and said to me, “Michael, we got 100% of the auctions” I’d be worried that they’re bidding too high. Having said that, I like hearing that there’s other competition out there. I’m much happier buying a property for a client where there’s been 5 other bidders who pushed the property higher, than hearing, “Hey there was no one there and we snared a bargain.” If you do that in this market you’d wonder what’s wrong with the property, Kevin. Kevin: You would indeed. Michael, we’re out of time unfortunately. Great talking with you again. Thank you very much for your time.